Z'EV writes: "In March of 2003 seeing my friends Stephen & Josephine in Los Angeles they suggested that i get in touch with japanese composer/performer KK.NULL. There followed a string of weird email occurrences which delayed our communicating until, as it turned out, we eventually met in Paris on 18 November.After his performance we were talking about a possible collaboration and during his set a possibility had occurred to me. I ran the idea by him and we agreed to proceed with it. The idea had 3 elements: 1 - to use the structure of the NOH THEATRE cycle as the basis for the composition. 2 – to consider the initial sound development in terms of developing ‘characters’ which would then interact with one another through the specific “scene�? [which is a fairly non-traditional way to work with sound elements] and 3 – to place the ‘character interactions’ as the 'figure' inside of particular sound-scapes as the ‘ground'. So in January 2004 I returned to London and began to work on my initial character developments. 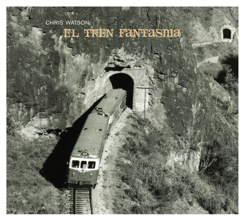 Coincidentally at this time I received a copy of a CD compilation i had a piece on which was released by TOUCH, which also had a piece by Chris Watson. So i got on the phone to TOUCH who put me in touch with Chris who has joined in on the project. Sometime after I had completed mixing the 5 pieces, I sent a copy to my friend Boyd Rice. 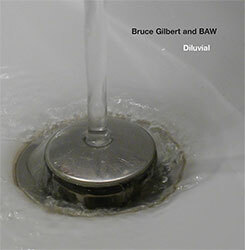 He emailed me back: "This is the first avant-garde piece I have heard in years that is truly avant-garde." In the production process, Z'EV framed his and KK.NULL's electro-acoustic musics inside Chris Watson's field recordings from East Africa. A dynamic dialogue and inside-outside mirroring of natural and synthetic sound is the result: where the click and rhythm of an insect merges with KK.NULL's drumming; where the calls of the elephants combine with the electronic bass frequencies; where bird and frog song and Z'EV's harmonic structures produces surprising counterpoints.